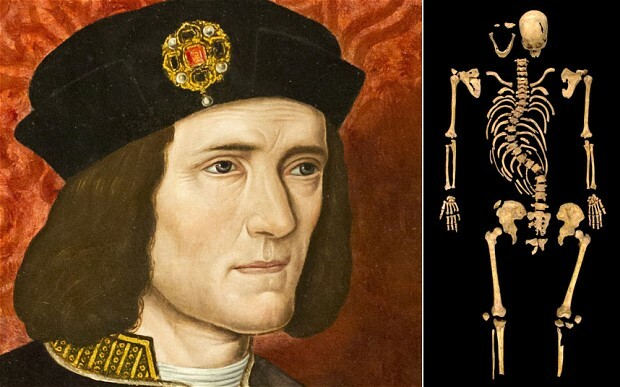 Watching the reburial of King Richard III, this writer was struck by how the unearthing of his bones was being sold to those who would buy it as the unearthing of the ‘truth’ about a much maligned monarch. 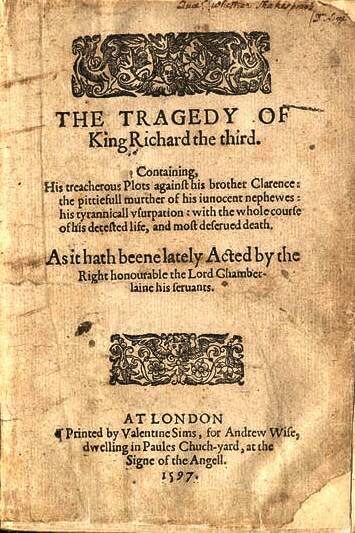 Conversely, Shakespeare’s play of the same name was being touted as the very zenith of propaganda and the Bard of Avon himself as a sort of Goebbels with the tongue of Goethe; history’s most gifted author prostituting his talents to defame the last and most discrete of its true kings, the Plantagenets, to justify the brash and barbaric usurpers who followed, the Tudors. I myself, attempting to judge events in the context of the time, take the view that the Duke of Gloucester – the name by which he was most commonly known, having held the title from age 9 – was nothing more than a minor product of those crude times whose only notability lay in providing inspiration for one of our greatest artist’s first decent works and through that stabilising a nation that had suffered two generations of civil war. In death and dramatic ignominy Gloucester achieved more for his country than his rather prosaic savagery did in life. The first point to be made is that there isn’t a historian worth the name who doesn’t hold Gloucester responsible for the death of his nephews – the 12-year-old King Edward V and his younger brother Richard, 4th Duke of York – the ‘Princes in the Tower’.